We provide user-friendly services for custom website as well as extensive support with already built sites. We provide one of the best service in WordPress theme and plugin development, which is built with simple, secure code and well-versed code. We provie the most innovative and cost-effective web services. We make simple and niche WordPress themes with users in mind. Code Manas build innovative, simple to complex plugins. Our customers love our fast and friendly support. 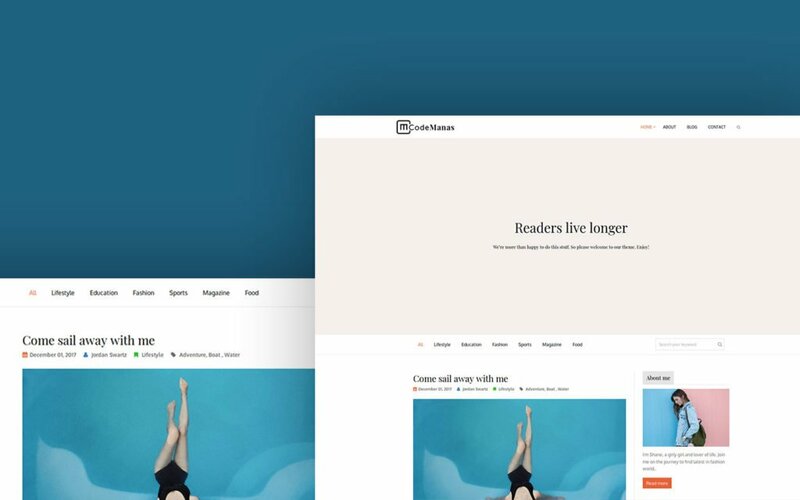 The most flexible WordPress themes crafted with professional and quality code. Code Manas is a simple WordPress blog theme. "Code Manas" is the first theme by Code Manas. May the force be with the theme. With simple and aesthetic design, this theme showcases the blogs in the most effective and simplest way. Being compatible with Kirki, this theme provides rich experiences for the WordPress Customizer using best coding practices. This themes comes with may theme options for a normal user to customize the theme the way one wants. The most flexible WordPress plugins crafted with professional and quality code as well as developer friendly checks. Focused on your business. Dedicated to best practices. Join us and let us help you succeed in building you your perfect WordPress ecosystem with quality code, incredible support and realistic prices. Proudly powered by WordPress © 2019 CodeManas. All Rights Reserved.